We are delighted to welcome Julia Barker to our Biddy Ave team. 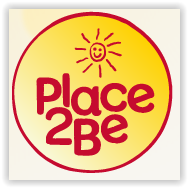 Julia is the project manager for Place2Be at our school and she will be based in the office by the year 1 entrance on Thursdays and Fridays. Joining Julia, on site, will be four Place2Be workers who will support the children at various times of the day. Group work on issues such as transition into secondary school, bereavement, friendship and self-esteem. We are delighted to offer this service and hope that all parents/carers support their children in using it.